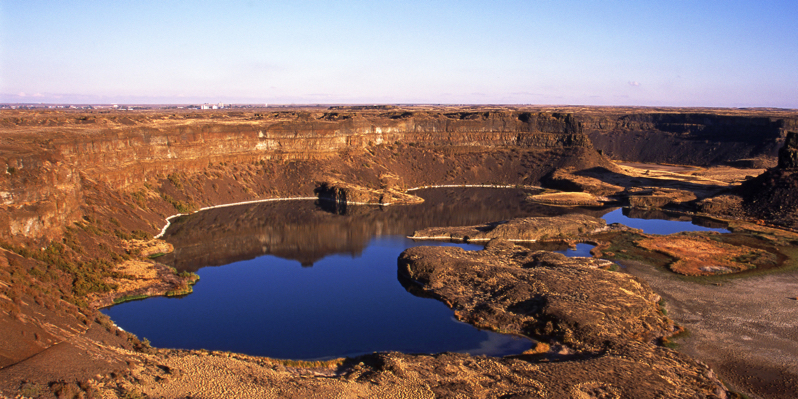 Dry Falls in north-central Washington is the mother of all waterfalls (above). Flood water from an ice dam that collapsed in Montana swept over the cliffs 15,000 years ago. Geologists believe it is the largest waterfall ever to exist. The basalt face is 400 feet deep and 3.5 miles long, five times bigger than Niagara Falls. The plunge pools at the base were created by the ice-age flooding. The falls are located 7 miles from Coulee City. 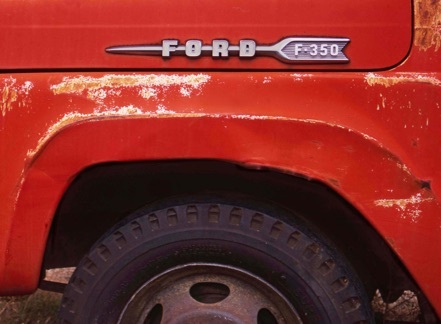 I stopped to shoot the Ford pickup in the little town of Orondo.